Hand Cancel usually used on covers with multiple stamps. 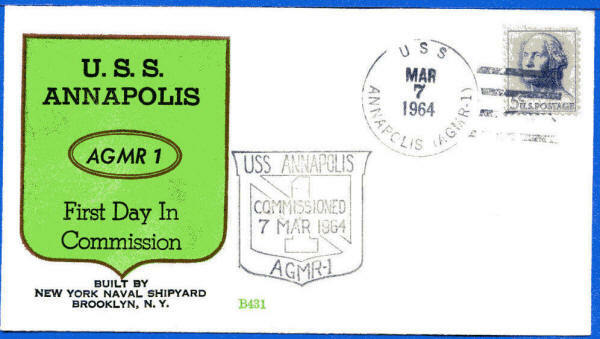 50% observed as this cancel. 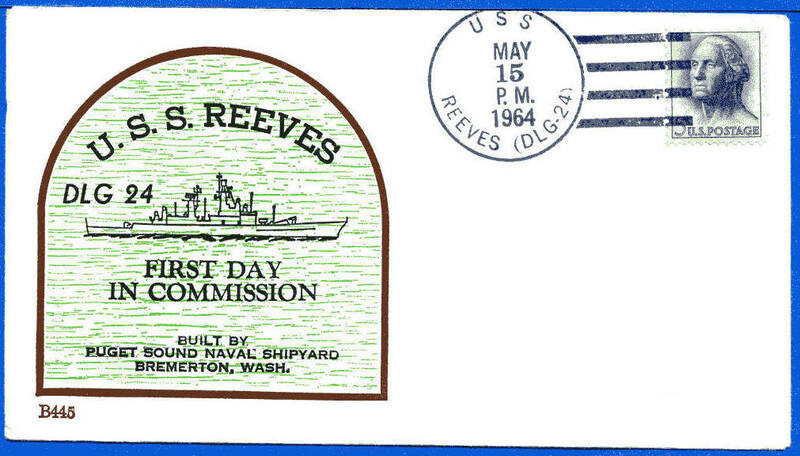 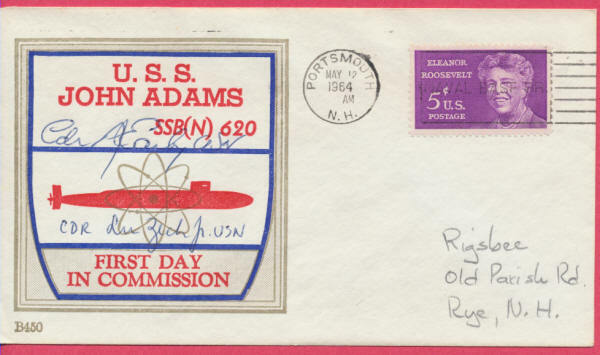 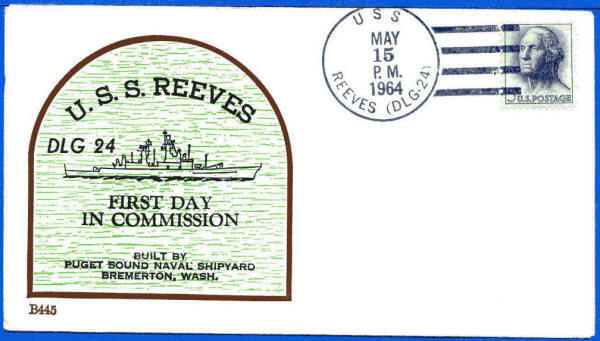 Ship added red RS "Commissioning Day" on front or back. Plus blue flag RS added to front. 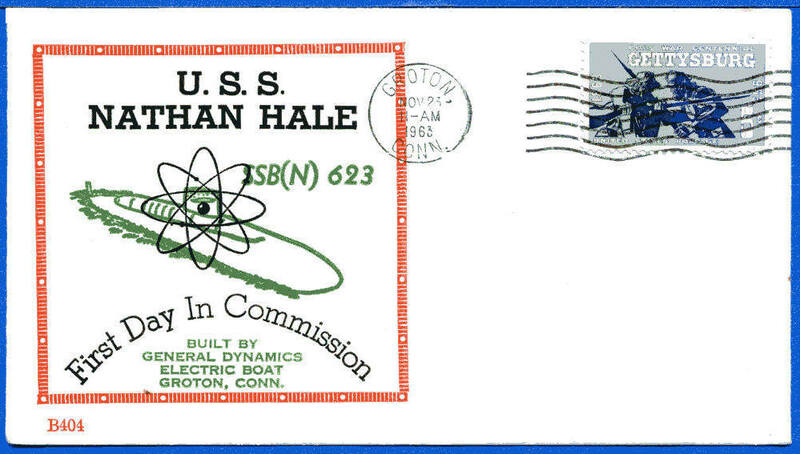 Scan courtesy of Charlie Hamilton. 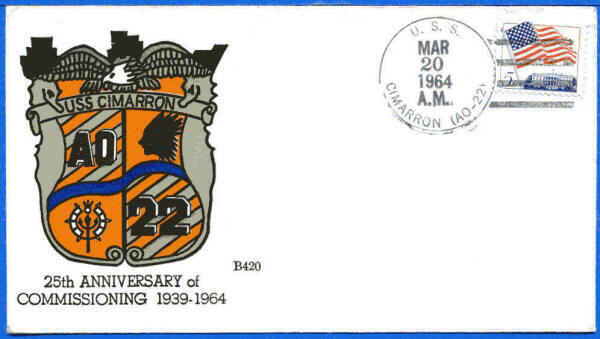 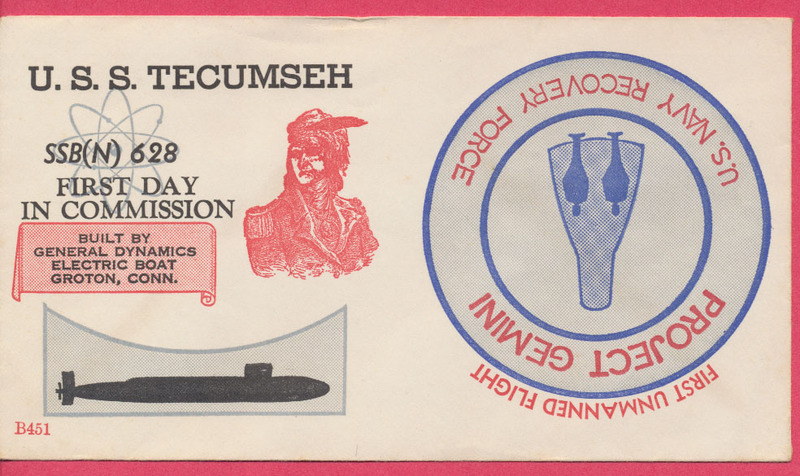 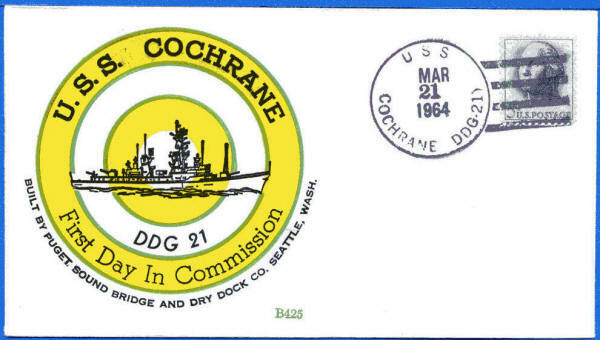 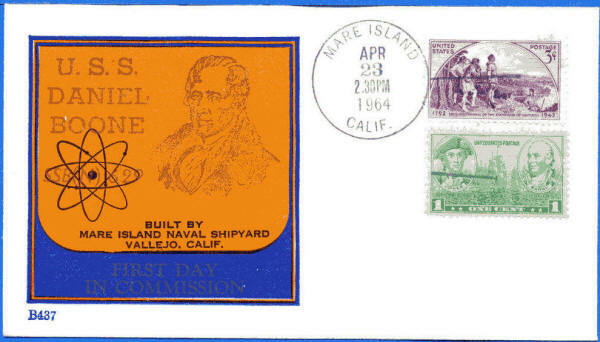 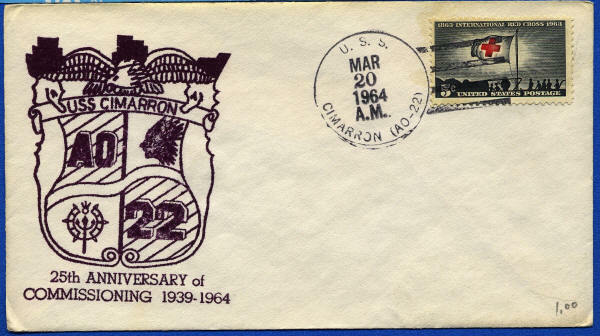 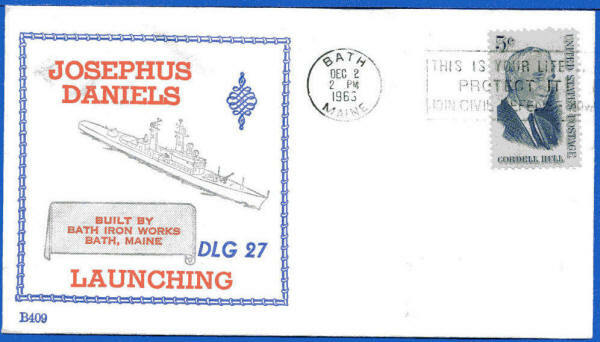 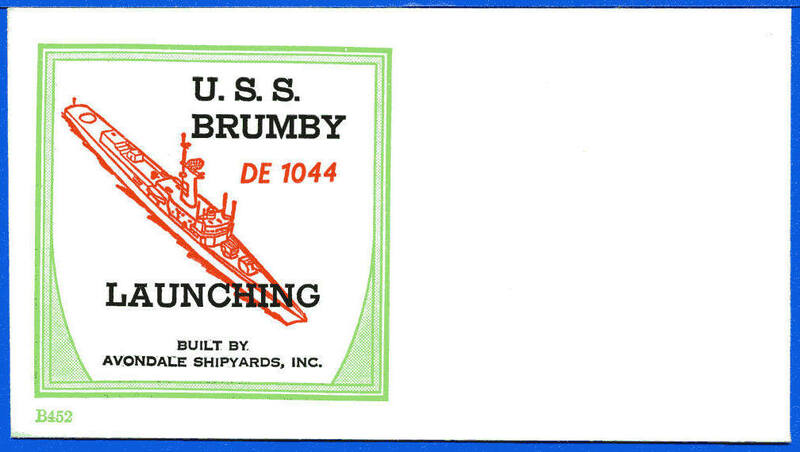 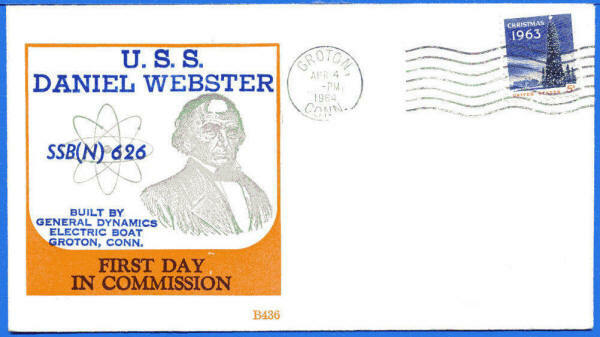 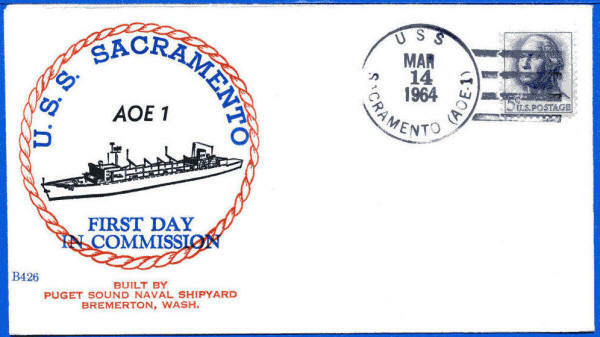 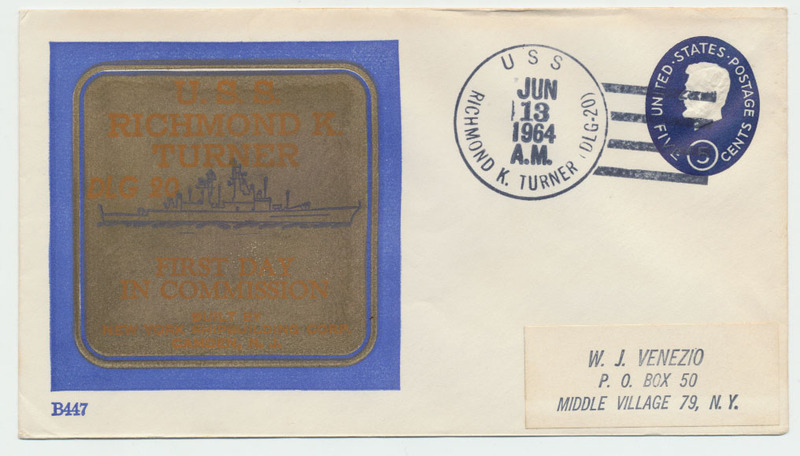 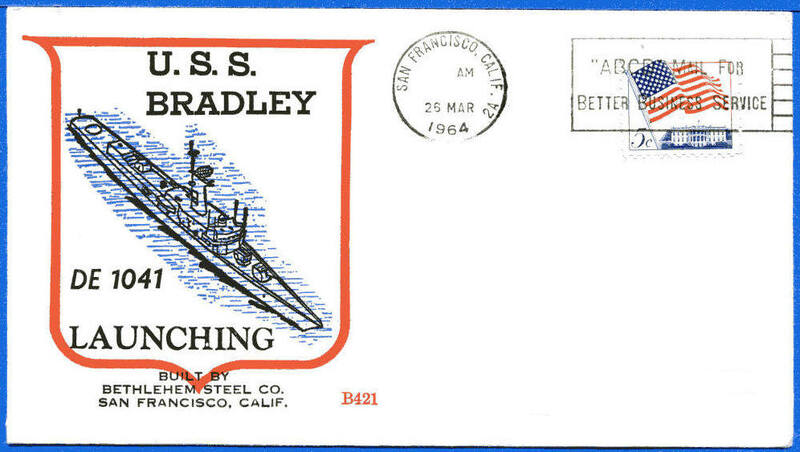 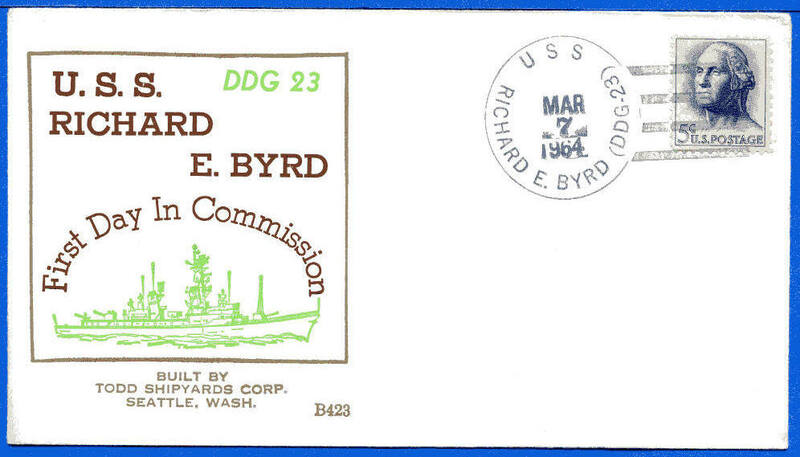 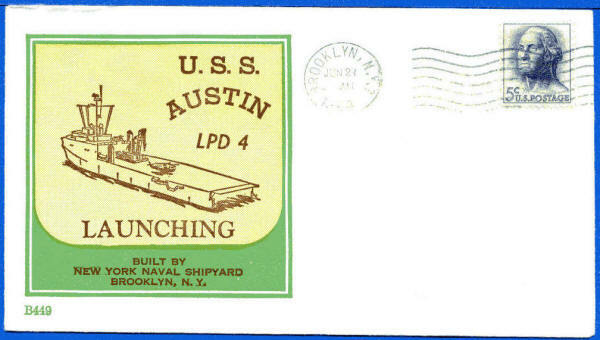 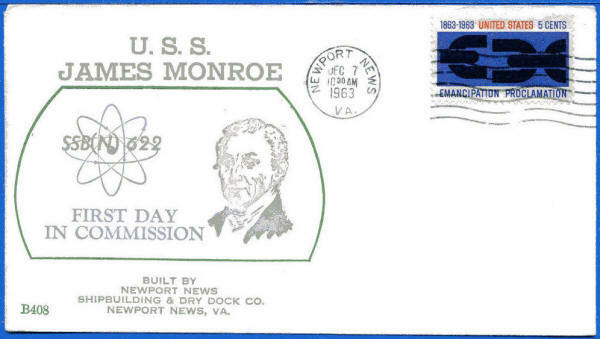 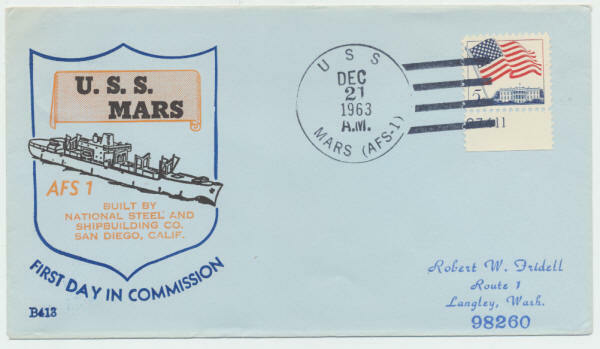 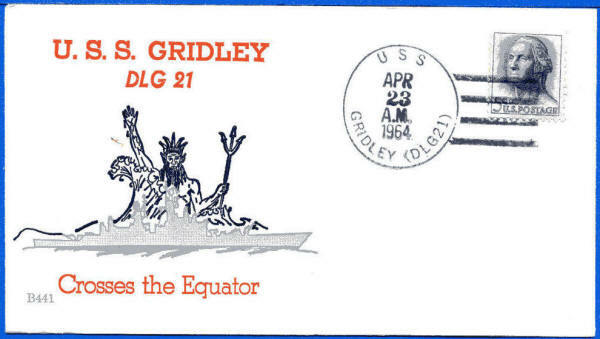 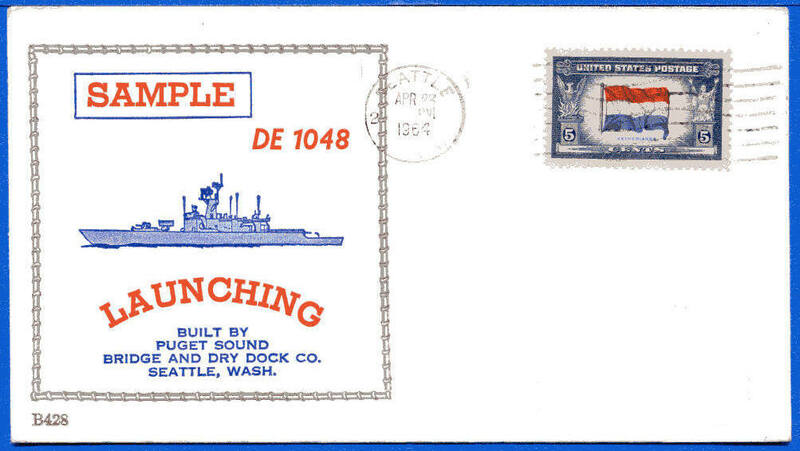 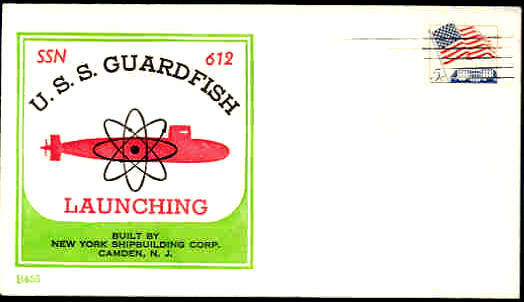 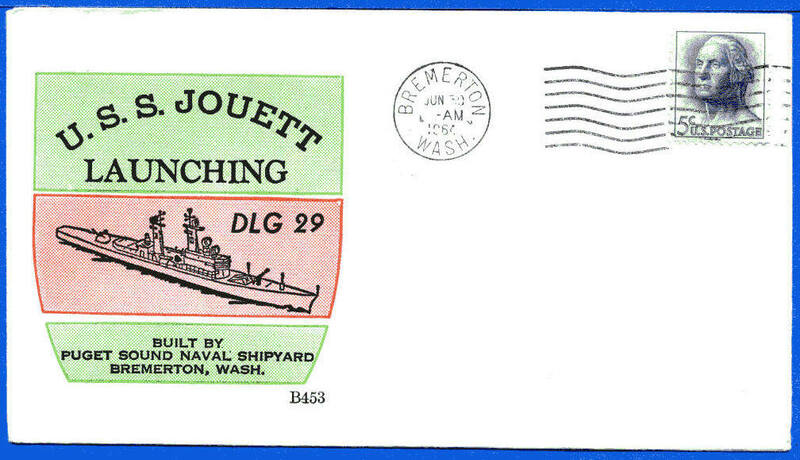 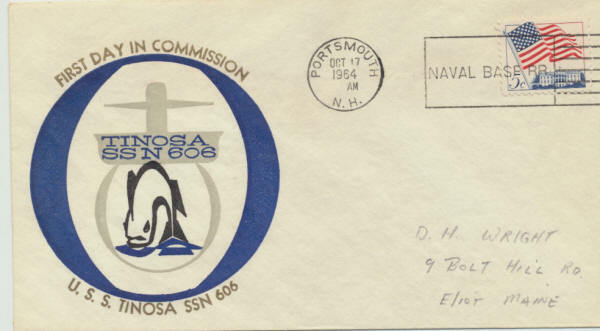 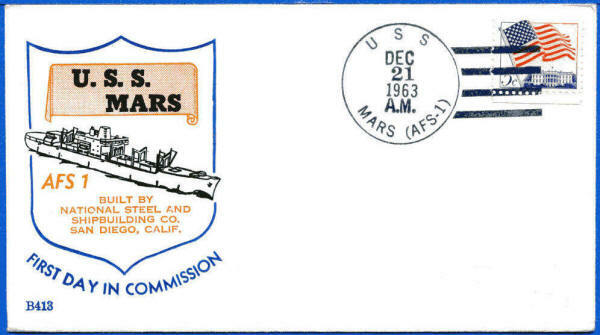 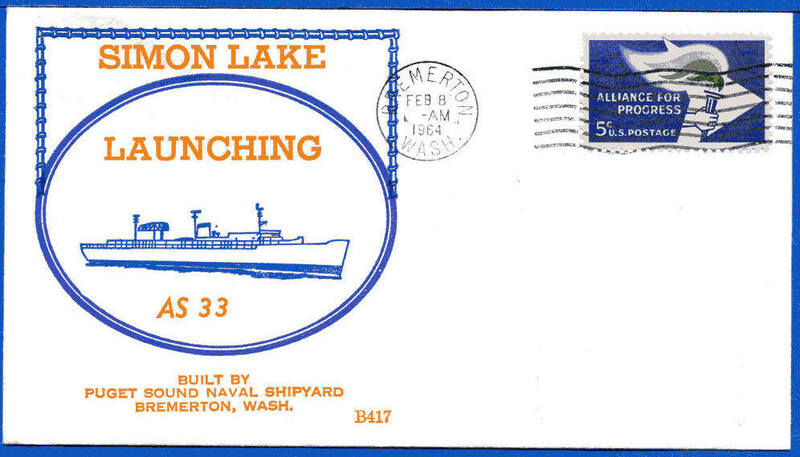 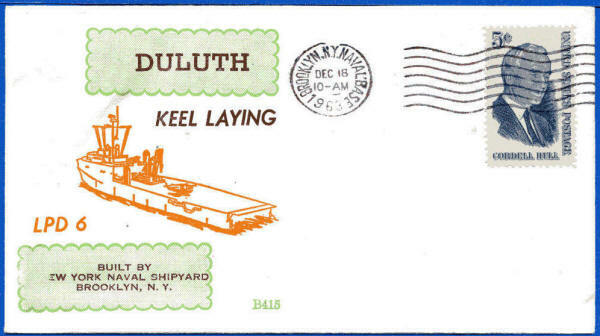 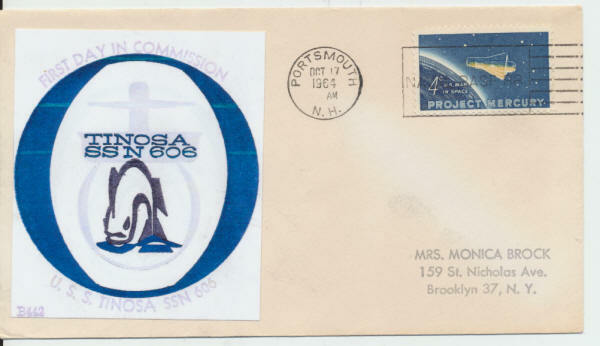 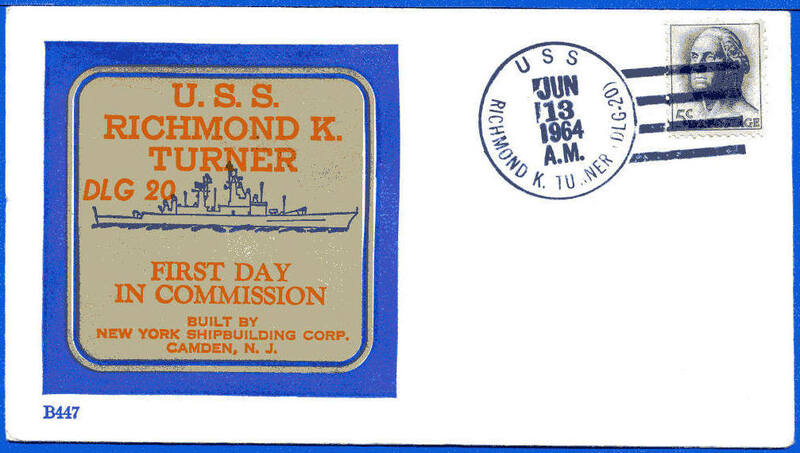 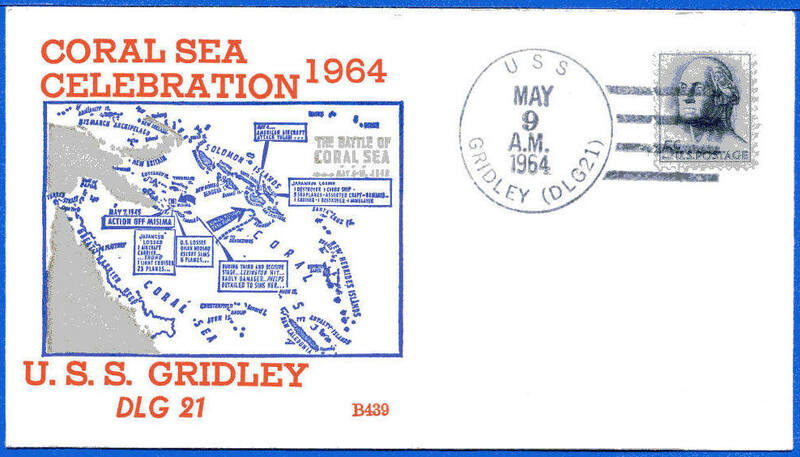 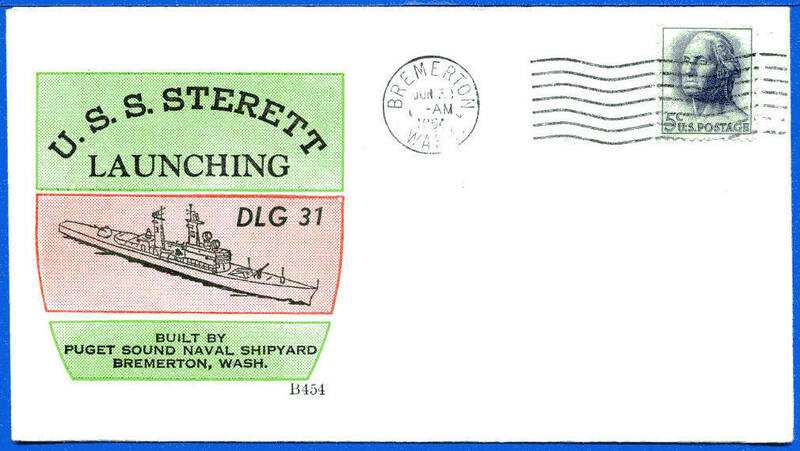 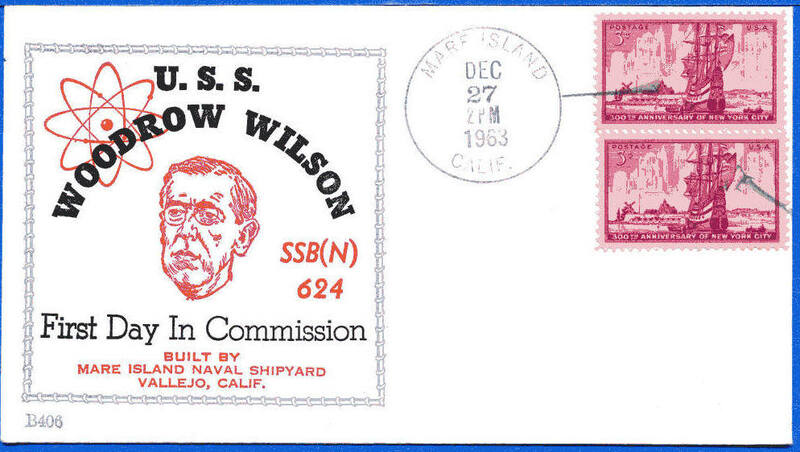 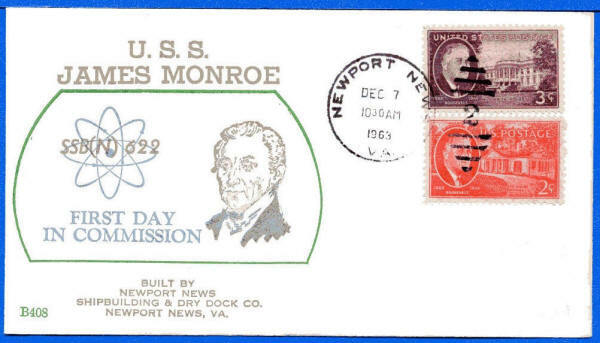 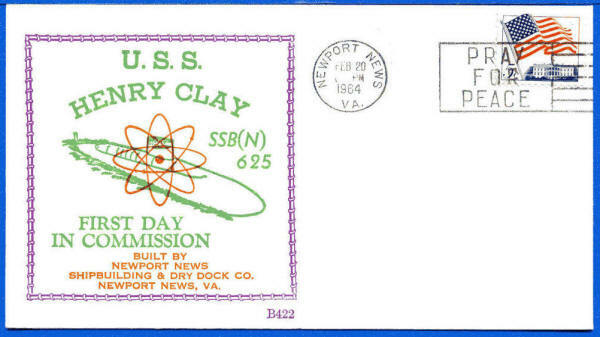 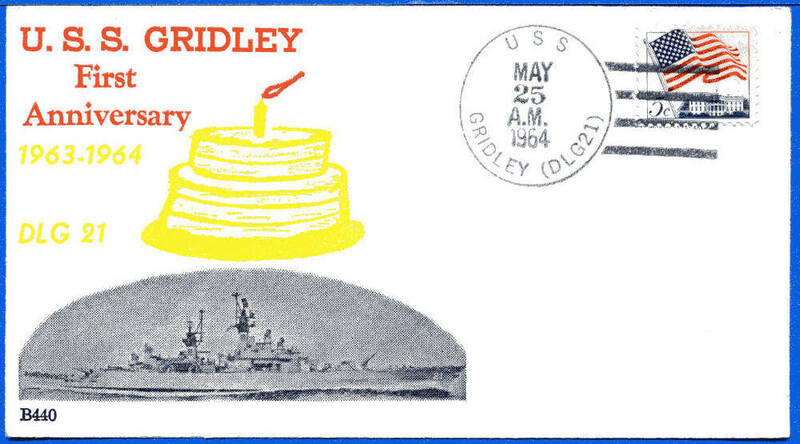 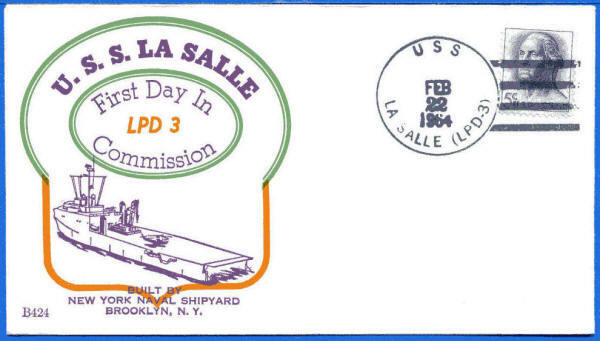 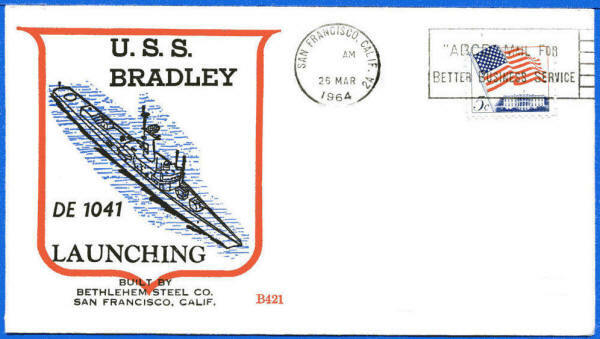 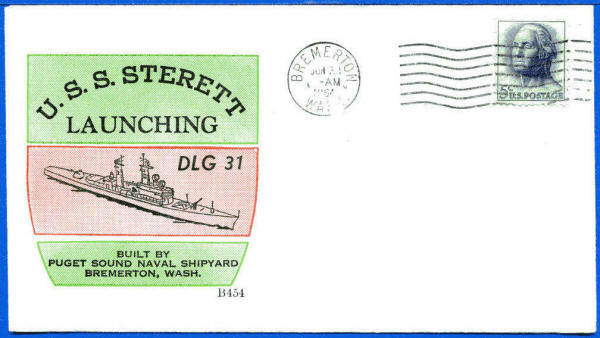 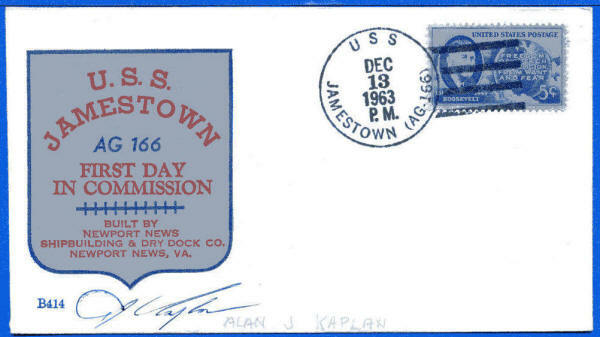 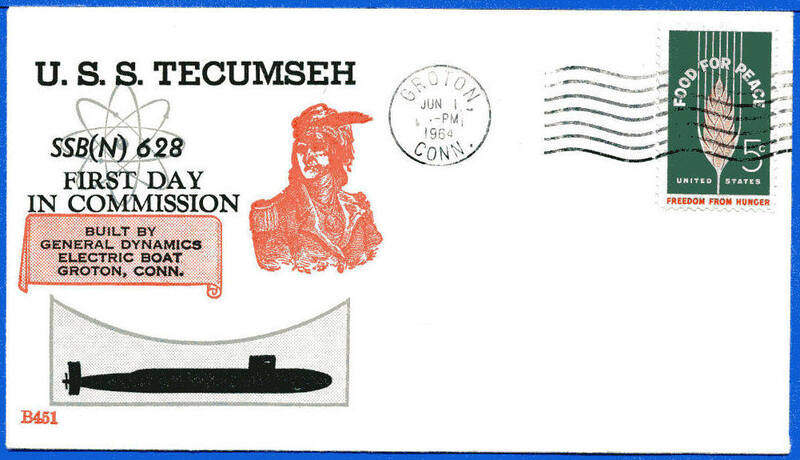 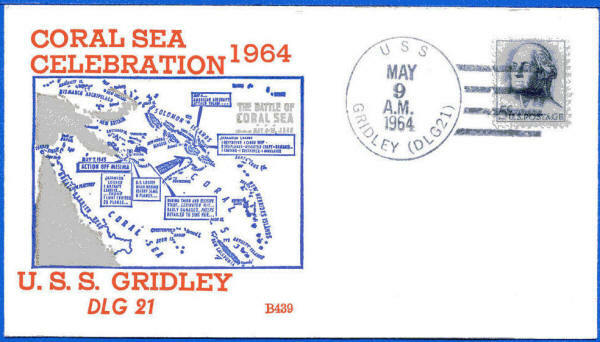 Note the placement and colors of the ship-applied rubber stamps. 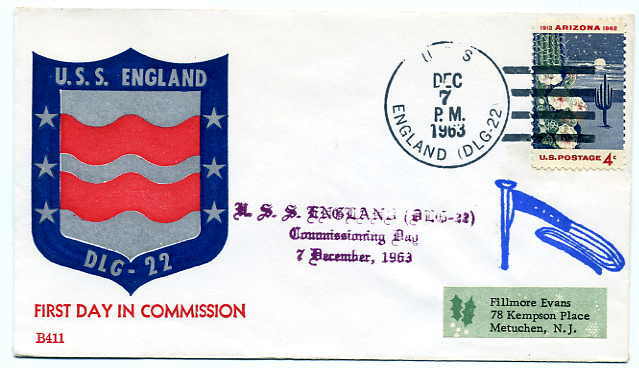 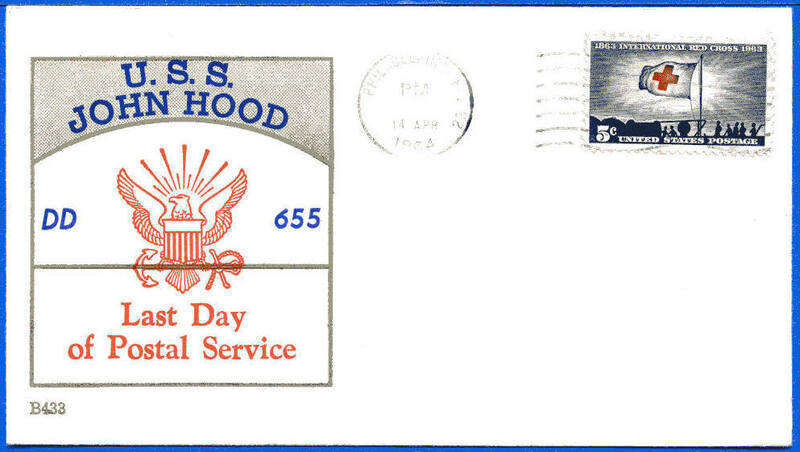 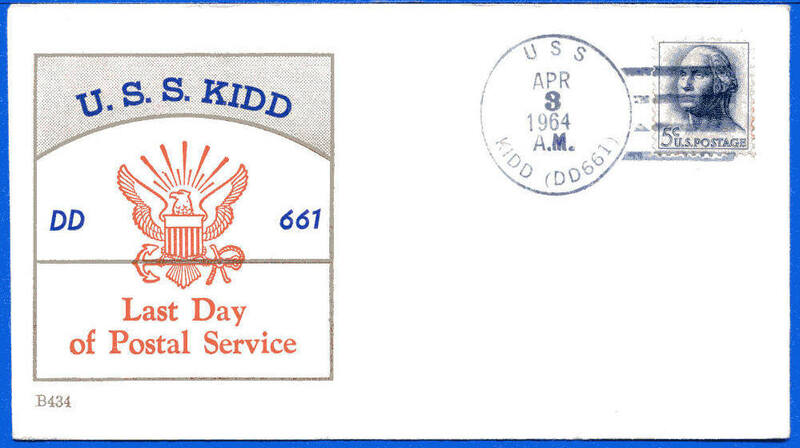 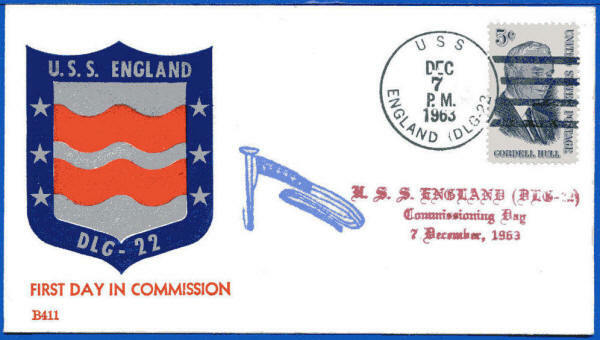 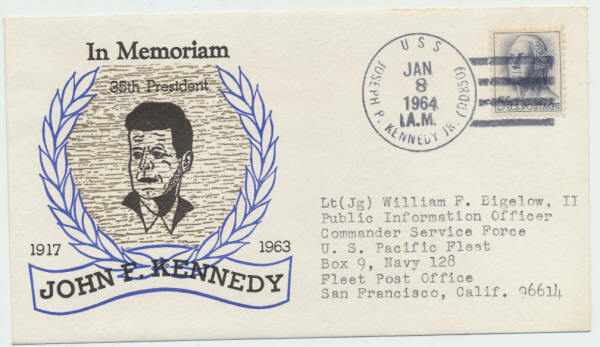 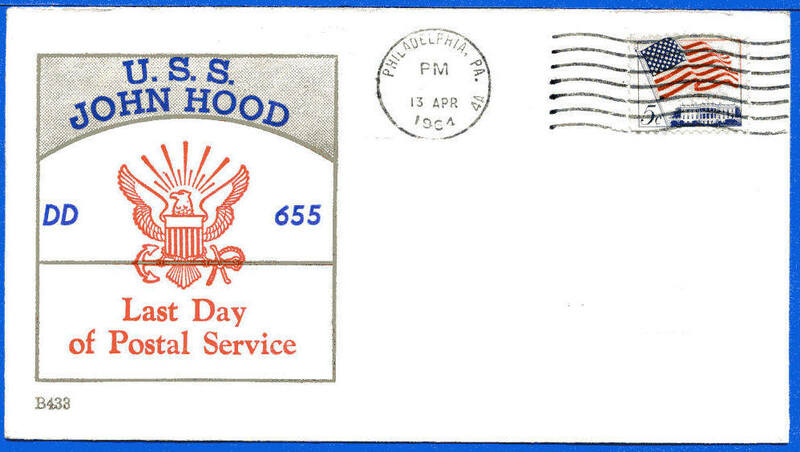 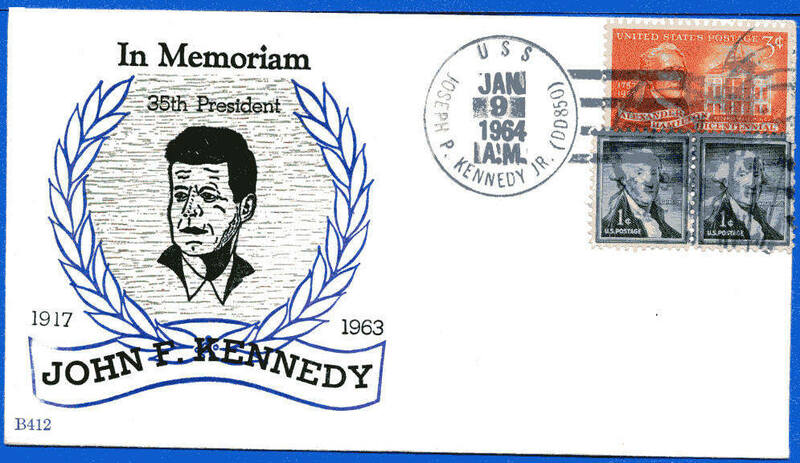 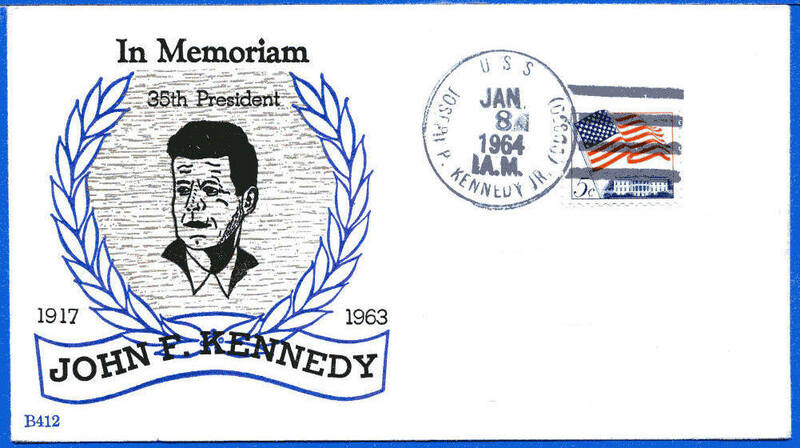 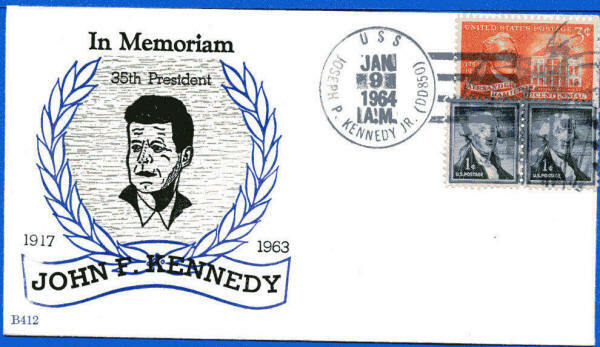 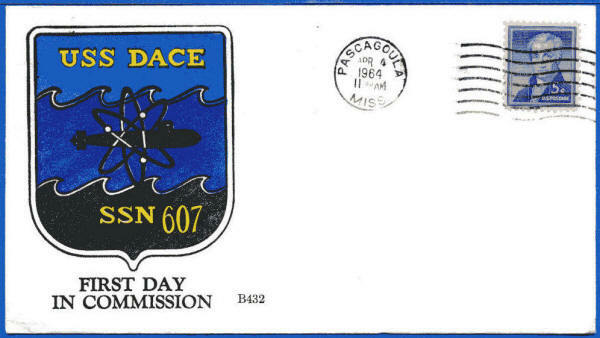 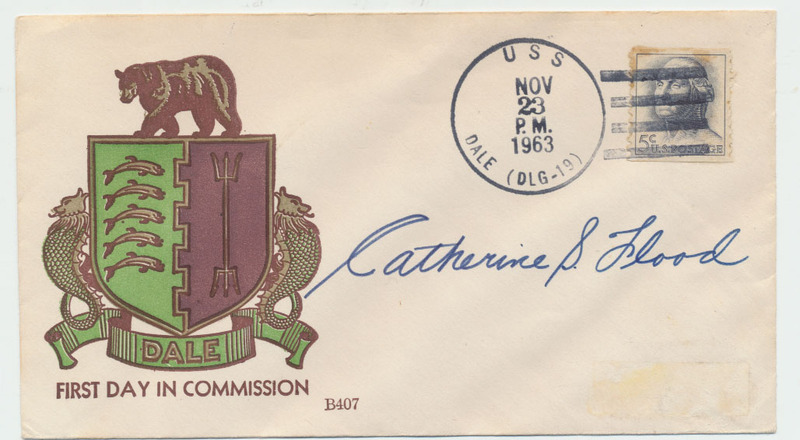 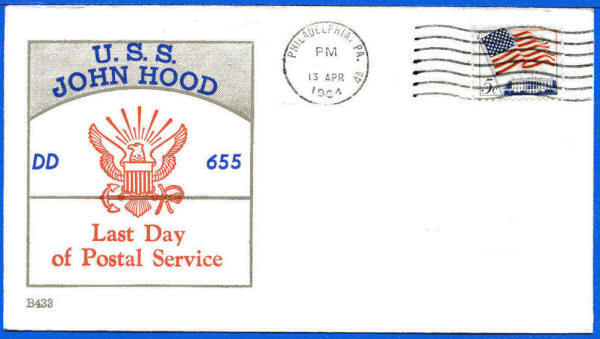 Also see a cover where this cachet art was used for the 1964 FDC of the Kennedy stamp. 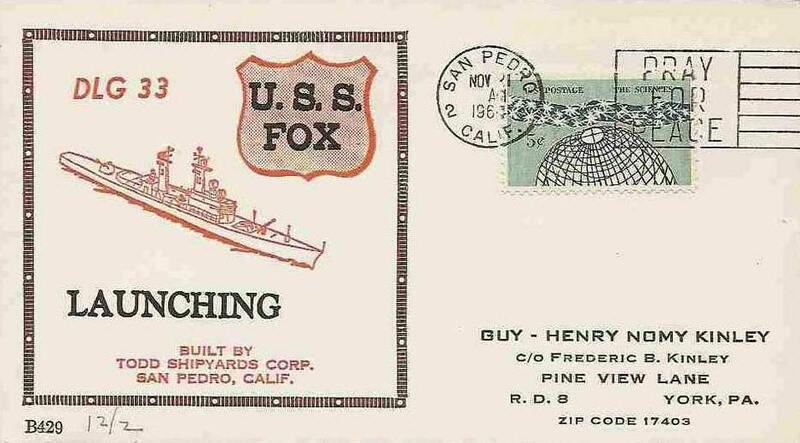 Mr. Beck's cachet as a design. 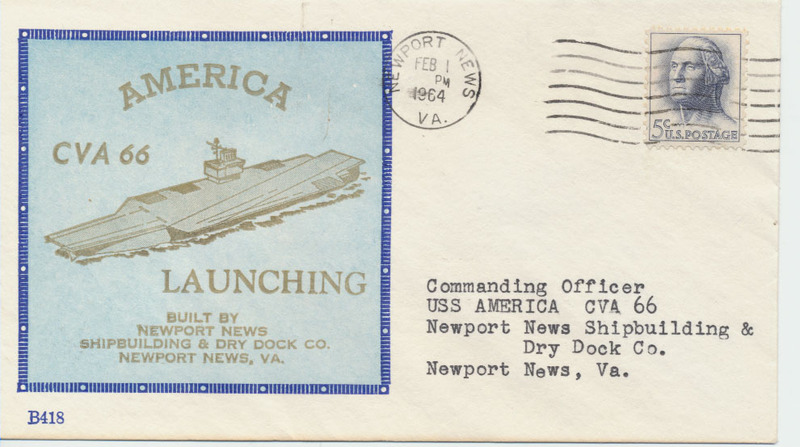 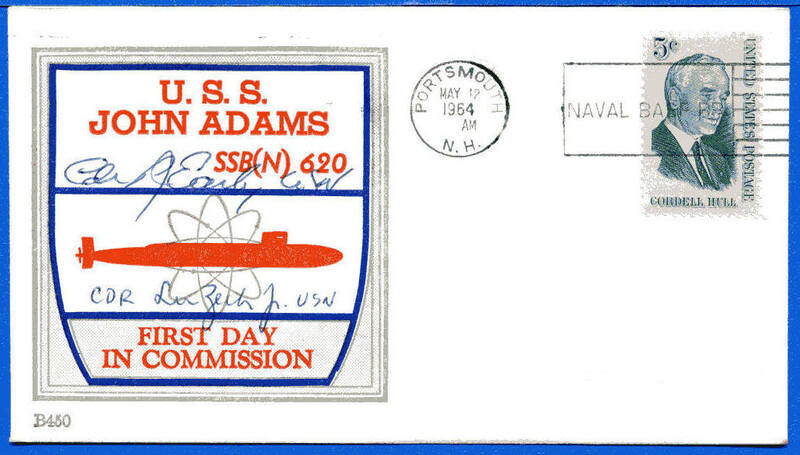 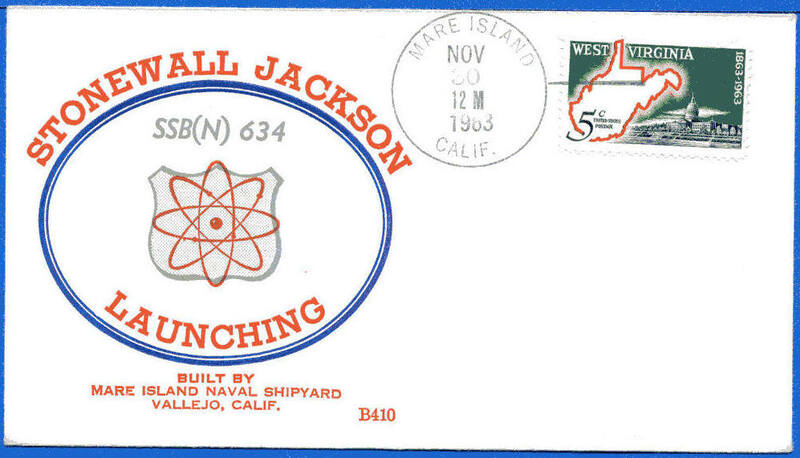 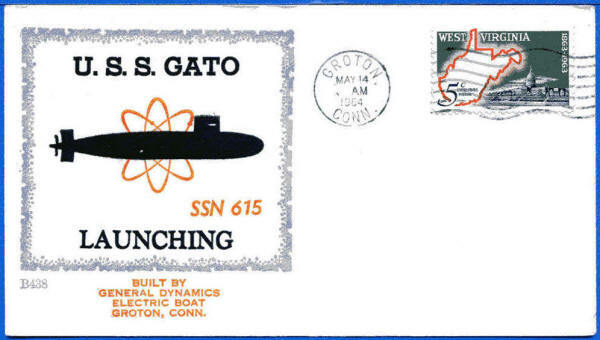 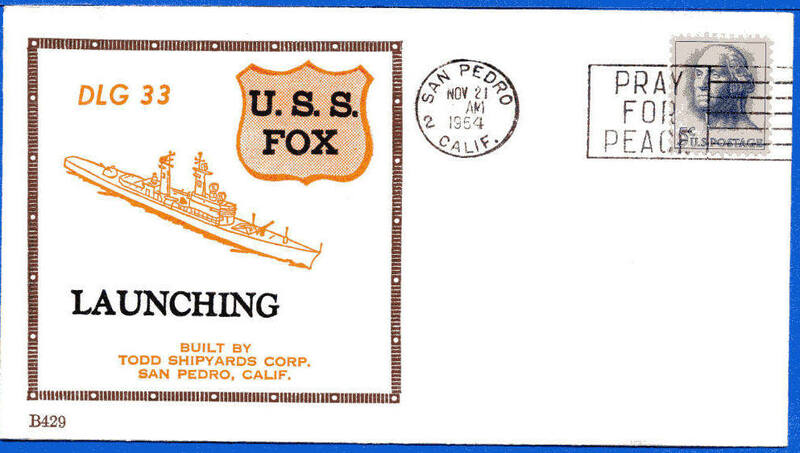 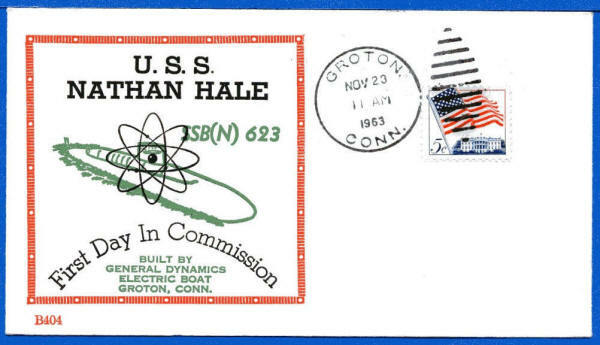 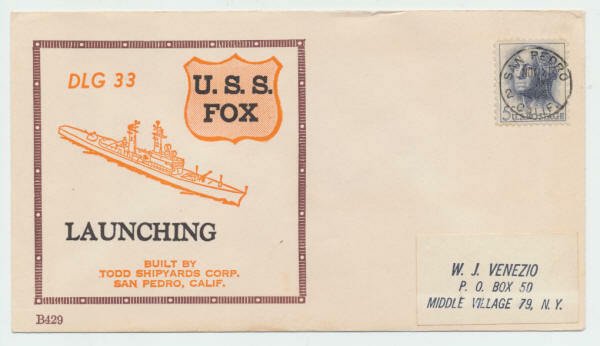 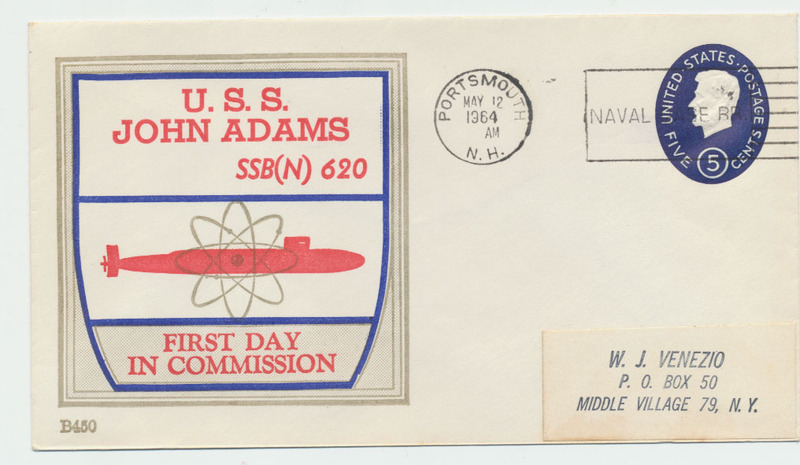 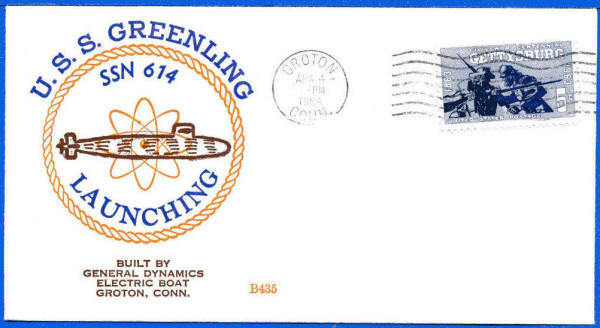 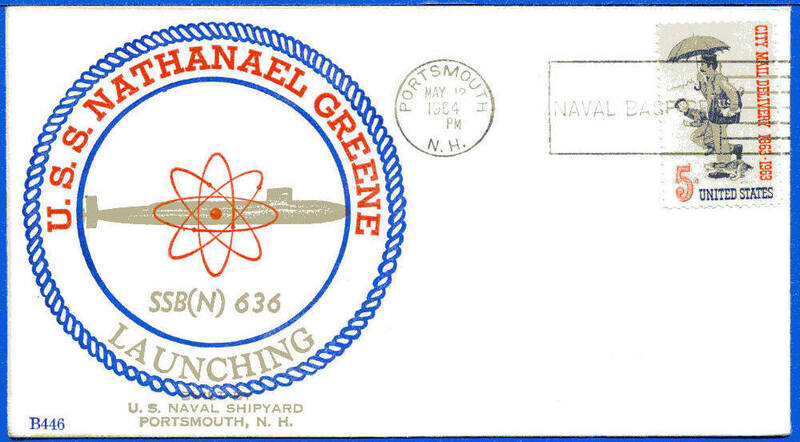 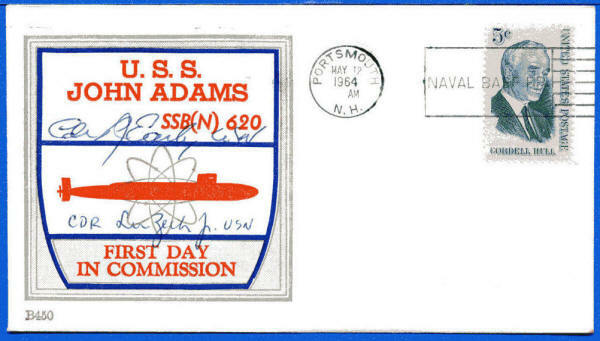 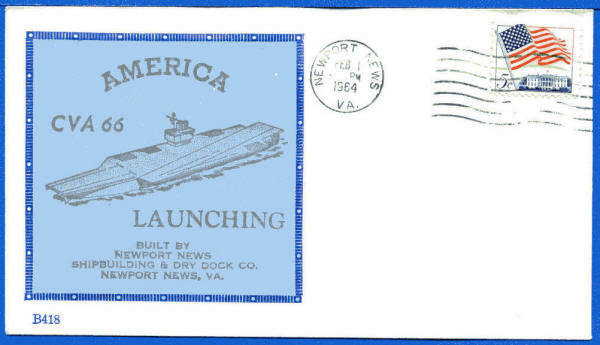 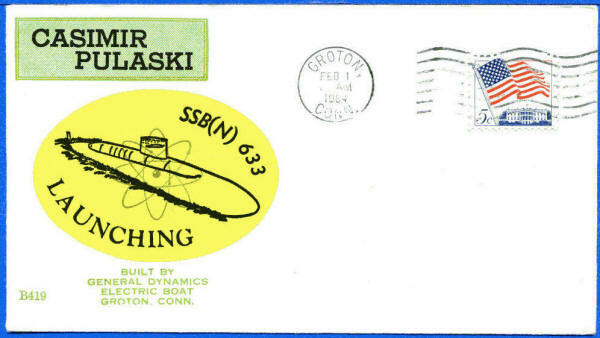 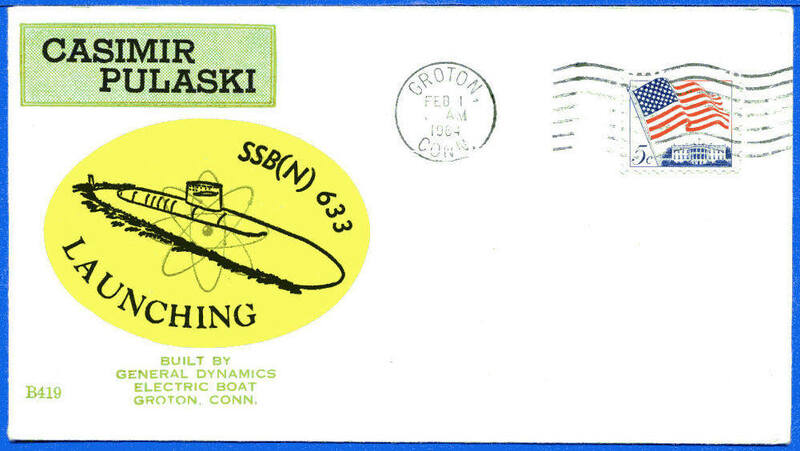 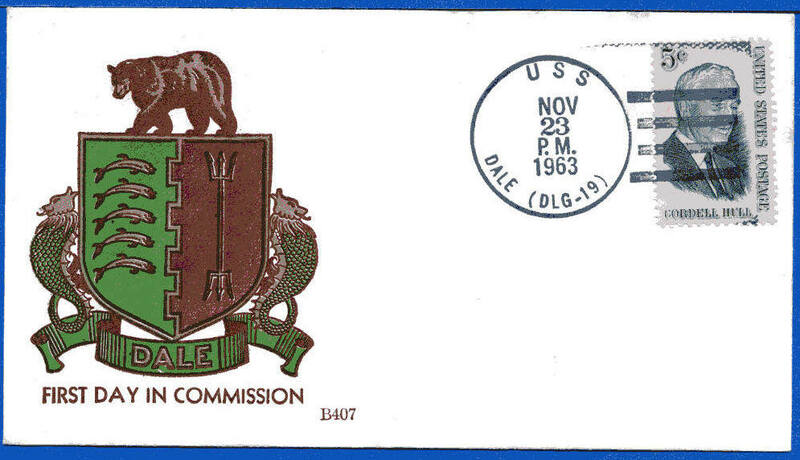 Greg Ciesielski sent us the scan of a Beck Naval cover for the launching of USS Fox with a neatly printed address. 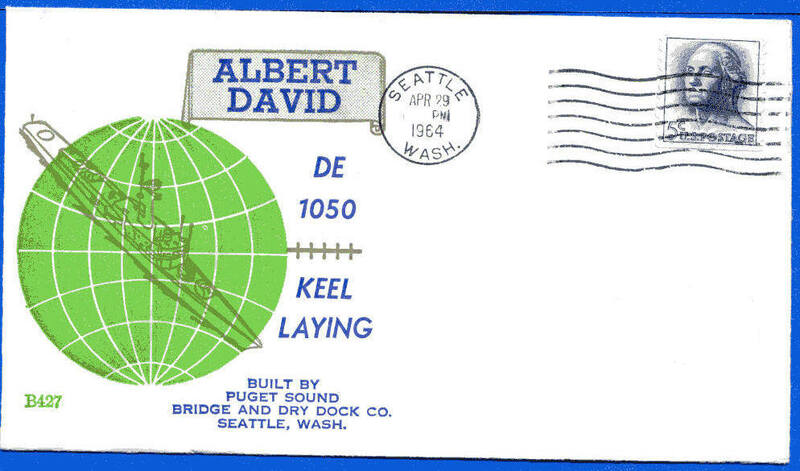 We have seen printed addresses on Beck covers but not many. 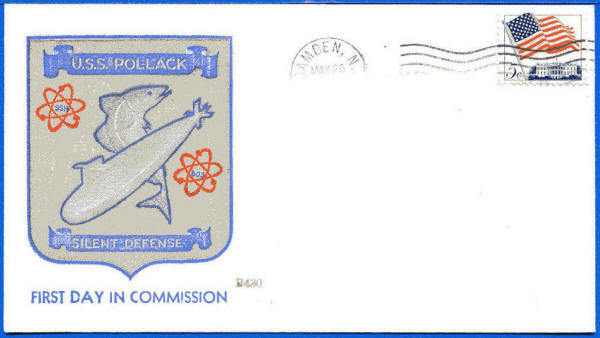 It does improve the overall appearance of the cover. 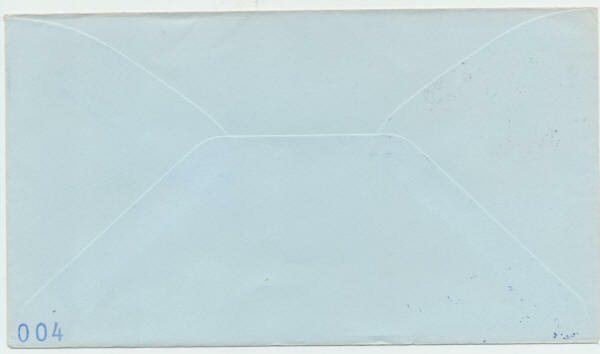 envelopes took some time. 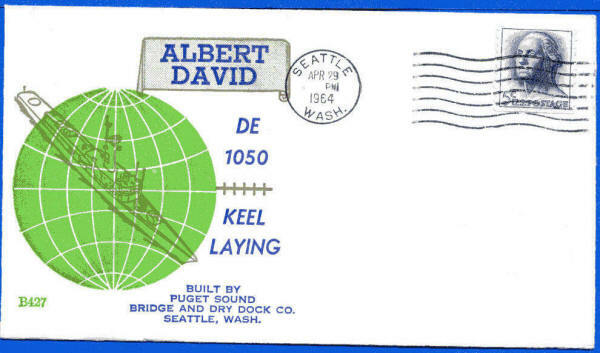 Having your address printed on the envelopes made sense. 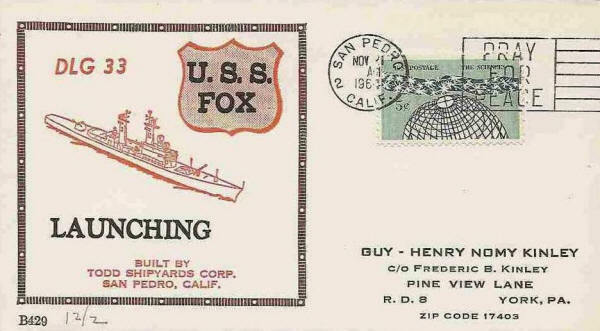 Ship added cachet RS to reverse. 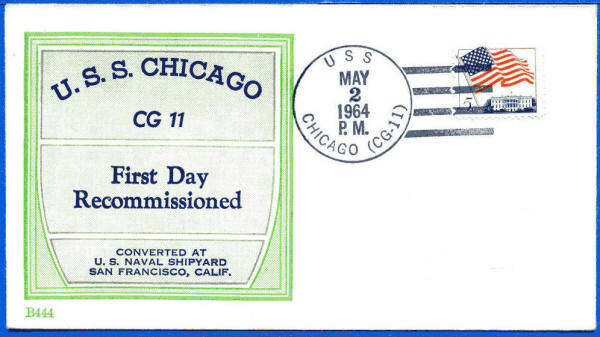 All covers observed have average cancel with lower half of cancel very light. 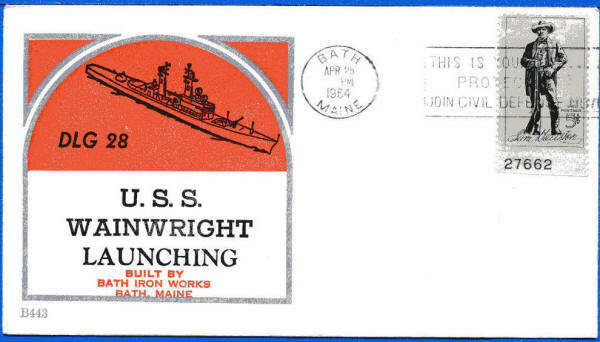 Ship added cachet RS to front. Cachet is a sticker (not printed by Beck. Scan is courtesy of Larry Johnson. 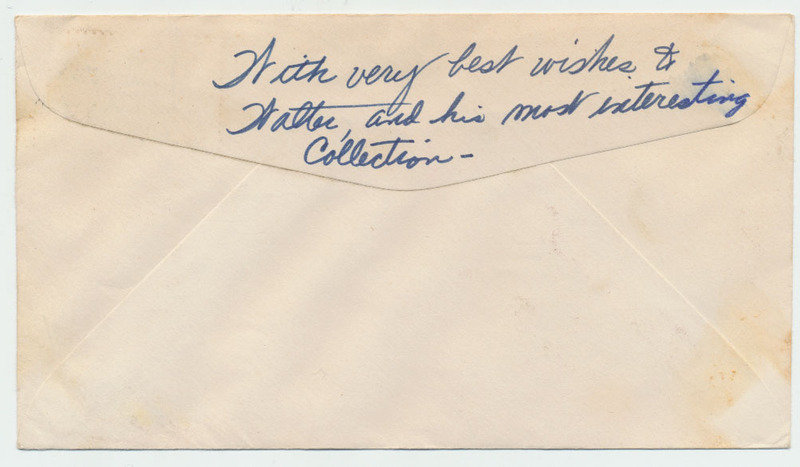 Note how dark the cachet is. 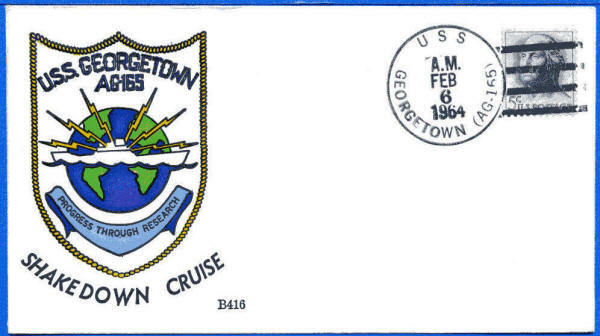 This is the second cover we have observed with the crew autographs. So there must be more. 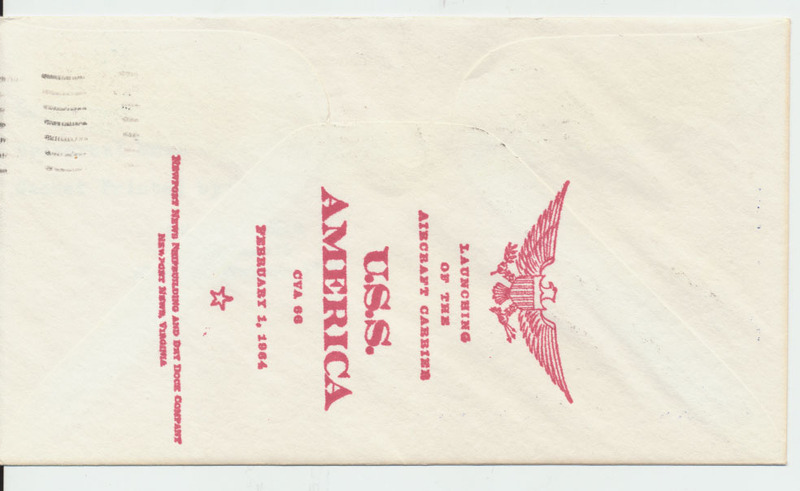 This is at about the 4th one of these printing test/error cachets we have observed. 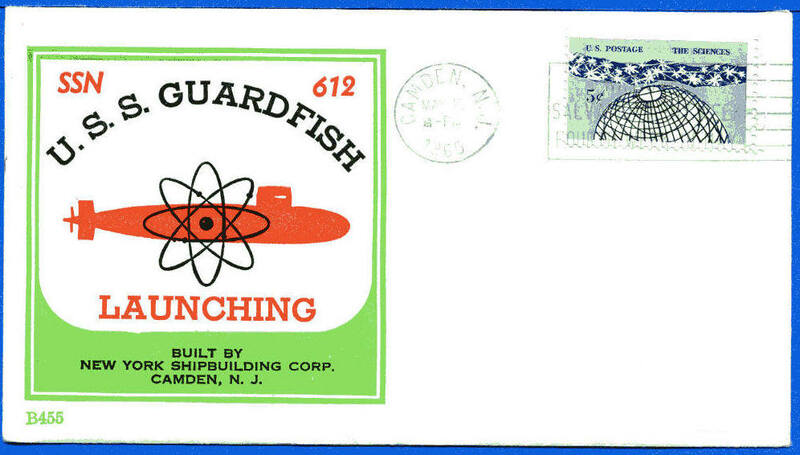 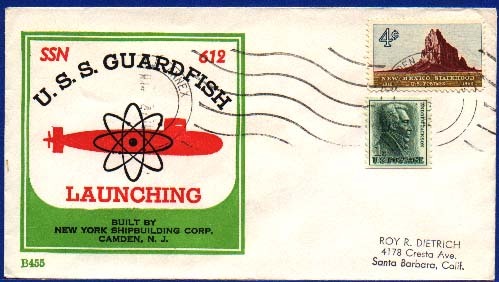 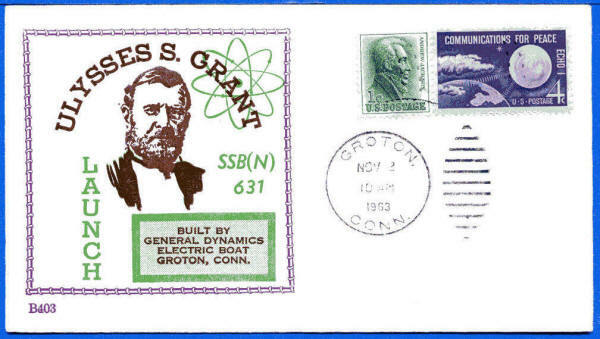 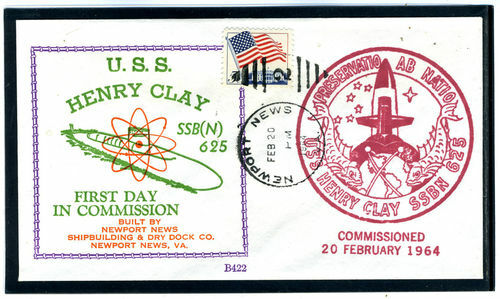 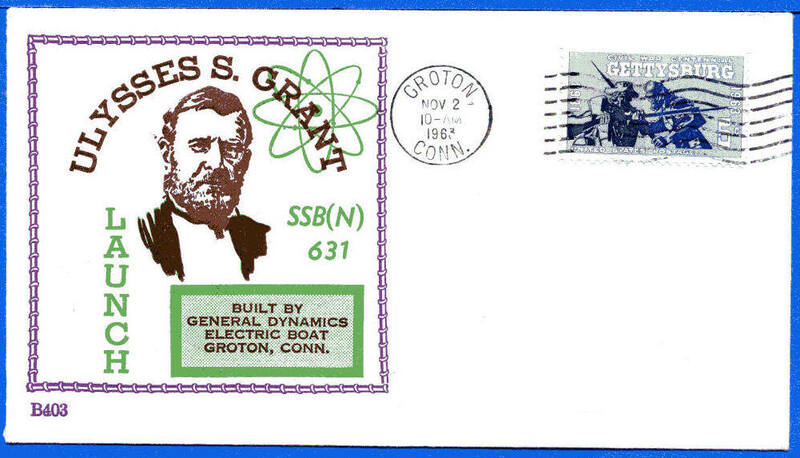 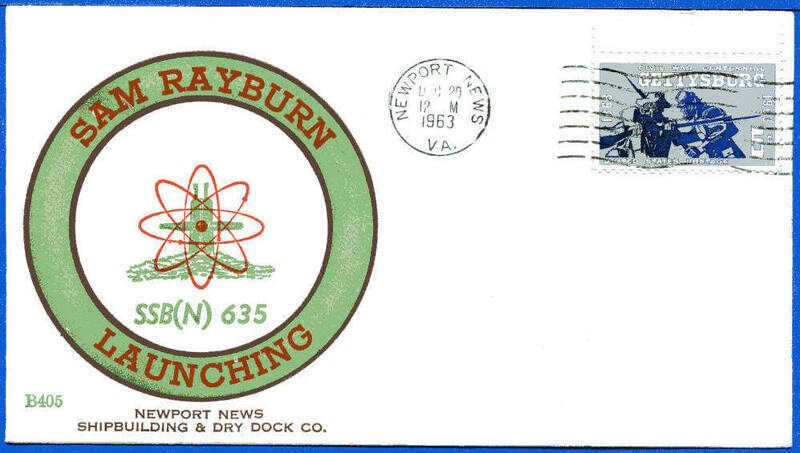 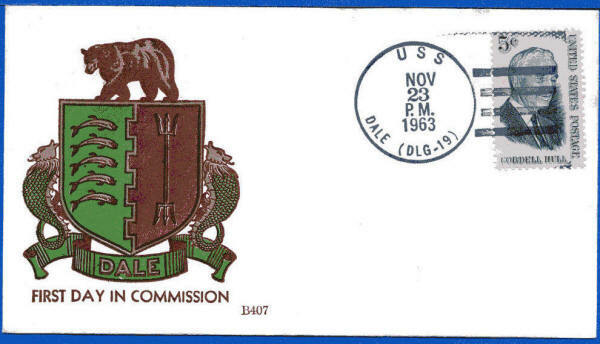 The test cachet with 451 and a space cachet like B456 on sameenvelope sold for $77.00 on eBay 2013.